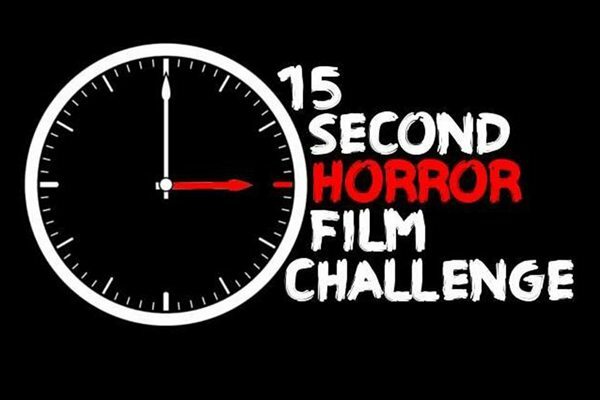 The third annual season of the 15 Second Horror Film Challenge took place last year. This is a nonprofit international filmmaking contest in which celebrity judges decide the top films entered into the challenge and had 80 different shorts entered for 2017. It was founded by Andrew J.D Robinson who is also the festival programmer. Troma's showcase of last year's 1st place winner went viral during the Christmas holidays getting over 2 million views on YouTube. I decided I would watch the top 20 entries and see how effective such a short space of time can be to tell a story. While I expected there to be some stinkers in the top positions I was actually pleased to see that with the exception of a few of them these are all pretty good. In first place is Emma, directed by Daniel Limmer, this one was deserving of the win mostly due to the child actress who actually comes across as creepy rather than the usual irritating. Ones I particularly liked included Derek Bensonhaver's 3rd placed Free Fallin in which someone discovers it isn't easy to escape a nightmare (Bensonhaver was also responsible for Daddy Daughter Day that came in 2nd). Good Night (6th) was another one starring a child that was nicely done even if it was familiar in feel for some reason. First Spray (17th) managed a fun blend of humour and horror so that was another one I really enjoyed. A couple of the shorts felt like they were part of a bigger narrative rather than a self contained piece, such as the trippy Retina 2 (15th) and Night Patrol (8th), while others were content to use the effective, yet predictable jump scare ending which resulted in two of the entries; Goodnight Reader (7th) and VR (16th) cancelling each other out for me by ending on pretty much the same idea. On the flip side I loved Jason Michael's The Sitter (11th) which was also kind of similar but done in a novel way. A few stood out due to the stylish way they were made, in particular If You're Happy and You Know It (9th) that excelled with its nifty editing and fake vintage grain. The quality for all of these was of a high standard with some nice effects used, such as the eyeball in the sink in Drain (4th), and the zombie make-up in both VR and Bad Timing (12th). The later was done as a comedy and didn't resonate with me so was probably my least favourite. There are a few weird ones mixed in with these such as Paradox (5th) that I did not understand, and the odd The Devil Made Me Do It (13th) that involved a hand puppet (as did Showtime in 14th that had a neat payoff). It was good to see one by Andrew J.D Robinson in the top 20, this was Making Faces (19th) that I thought was one of his even before looking at the credits due to the style of the short. The 15 Second Horror Film Challenge is a cool thing and really forces people to be creative and manage a limited time well, check out them for yourself here and check out the winning entry below. Also they are currently accepting entries for the 2018 challenge, check out the website for more details.